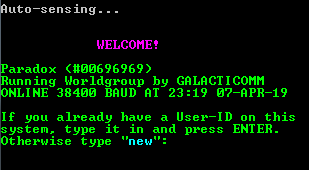 Up and running a new GAP BBS. It is named GAP Prison Board. Plenty of games and all of the FidoNet echo messages. Free board no limitations on time or message requirements.